While the history of the left is a long story of idealism and determination, it has also been a story of movements that failed to gain support from mainstream America. 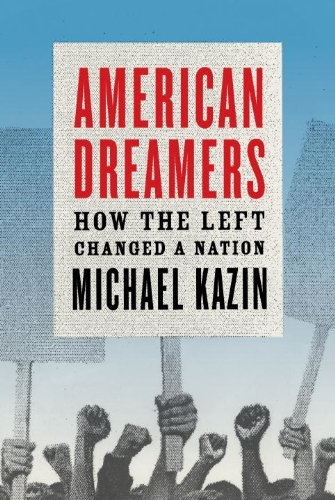 In American Dreamers, Michael Kazin, one of the most respected historians of the American left working today, tells a new history of the movements that, while not fully succeeding on their own terms, nonetheless made lasting contributions to American society. Among these culture shaping events are the fight for equal opportunity for women, racial minorities, and homosexuals; the celebration of sexual pleasure; the inclusion of multiculturalism in the media and school curricula; and the creation of books and films with altruistic and anti-authoritarian messages. Deeply informed, judicious and impassioned, and superbly written, this is an essential book for our times and for anyone seeking to understand our political history and the people who made it. "A timely read. Kazin is a lucid writer and a capable synthesizer, drawing together strands of politics, economics and culture across a broad sweep of American history. Kazins' ambition is to illustrate and argue, and he does both with exemplary skill. His sketches of the characters who populate his story are lively and illuminating. Attention to detail makes reading Kazin's book a pleasure, but it also is a work of honest rigor. Kazin puts his thumb on historys scales." "American Dreamers is Kazins bid to reclaim the lefts utopian spirit for an age of diminished expectations. An editor of Dissent magazine and one of the lefts most eloquent spokesmen, Kazin presents his book as an unapologetic attempt to give the left a history it can celebrate. Kazins portraits are often inspiringa hopeful message." "The evolution and revolution of liberal thought is chronicled in this well-written book about how we got to where we are today. Michael Kazin deserved great praise in explaining this American experience in this well-researched and well-presented book."